Fulfilling the promise of our corporate mission of “Quality without Compromise” Fabrica manufactures rugs for the most demanding segments of the high-end style residential market. 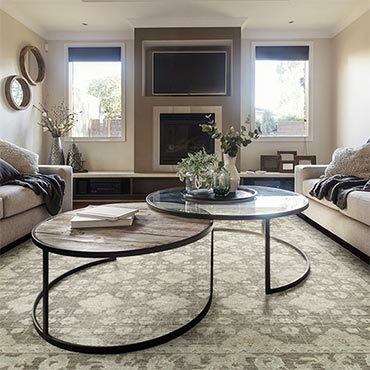 Our distinctive broadloom carpet, custom area rugs and hand-tufted rugs have earned Fabrica an international reputation for exquisite style and exceptional performance. 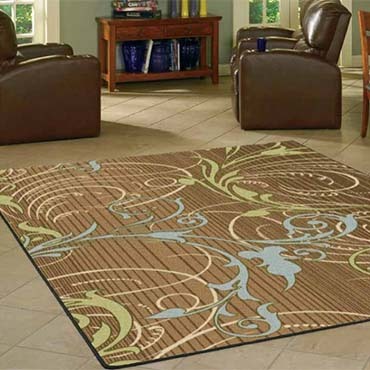 For spreading personality around a room, the area rug has few rivals. 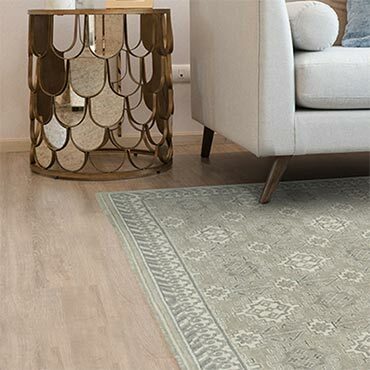 What could be more elegant than an heirloom quality Oriental area rug atop a gleaming hardwood floor, or more charming than a handcrafted braided area rug on timeworn pine planks. 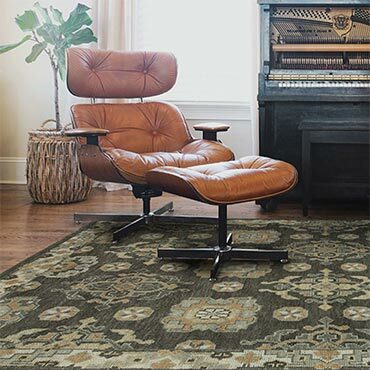 In myriad styles and prices, versatile area rugs set the mood-and more. Beyond beauty, these stage-setters are hardworking area rug design elements. Area rugs bring softness and warmth to any hard-surface floor, instantly infuse color and pattern into a space, and make comely cover-ups for soiled or damaged carpet. Area rugs are great unifiers, sparking entire color schemes. One of the best decorating strategies is to use area rugs to define specific activity centers within a room, especially important in large rooms and in today's flowing, open-plan homes. For example, let one area rug set boundaries for a conversation area and another area rug outline a dining spot. 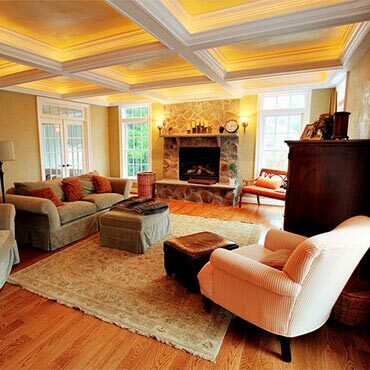 Area rugs can be used alone or in conjunction with carpet. Rich in history and hue, jewel-toned Oriental area rugs are the aristocrats of area rugs and are prized in traditional, formal, and eclectic schemes. Authentic hand-knotted Oriental area rugs may take years to create, but can wear well for more than a century. Equally elegant and formal are French area rug classics, such as Aubusson rugs, Savonnerie rugs, and hand-stitched needlepoint rugs. 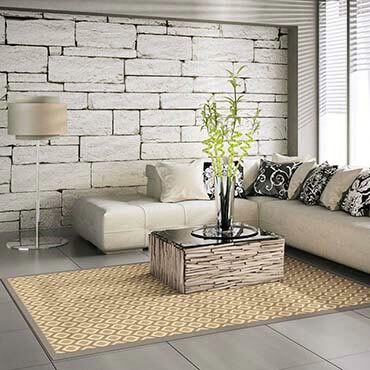 Popular in contemporary and eclectic room schemes are wool dhurrie area rugs, produced in India for centuries. Sumptuous colors, stylized motifs, and vivid geometry characterize these flat-woven area rugs that are durable and reversible. 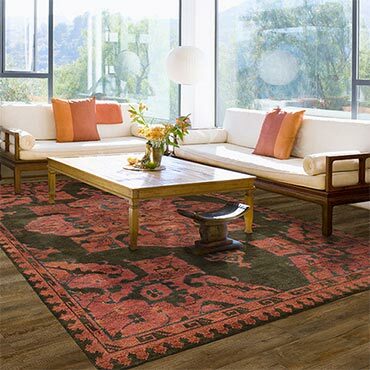 Kilims are flat woven area rugs with no pile. Persia, Turkey and Afghanistan offer Kilims in geometric designs, while Besserabian Kilims are floral area rugs. Other picks include Scandinavian ryas rugs, shaggy Greek flokatis rugs, and modern area rugs in bold, graphic designs. 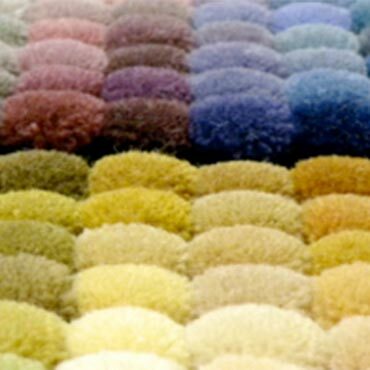 If you're shopping- for an authentic area rugs or antique area rug, research the techniques, materials, and designs of the period and the region of origin, as well as the area rug's identifying characteristics. For example, high-quality Oriental area rugs are made of sheep or lamb's wool yarns, hand-knotted through linen or cotton backing. The more knots per square inch, the better the quality area rug. A superb Persian area rug may have more than 500 to 1,000 knots per square inch. There are handsome area rug reproductions made on power looms, and less-costly facsimiles with designs printed on the pile surface. Antique area rugs, especially Orientals, are always expensive and often difficult to find. Although good examples turn up at estate sales and auctions, your best shopping bet is a reputable, established area rug dealer.